The Consumer Price Index for April reversed last month’s course and rose by 0.2%. Inflation increases were across the board. Food rose 0.2%, energy 1.1% and all other items together increased 0.1%. Shelter continues on it’s tear with a 0.3% monthly increase. Natural gas had a huge monthly increase of 2.2%. Fresh vegetables had the largest monthly jump since February 2011, an increase of 5.1%. Yearly overall inflation was 2.2% and is shown in the below graph. This is less than March’s 2.4% annual inflation rise but the average prices increase over the last 10 years has been much lower, 1.7%. Those officially unemployed is 7,056,000, a -146,000 monthly drop. The first quarter GDP initial estimate is a pathetically weak 0.7%. While the usual suspects, changes in private inventories, imports and government spending all contracted, the real drama is in the very weak consumer spending growth. Consumer spending is most of GDP and only gained a paltry 0.3% for Q1. Generally speaking, Q1 GDP’s showing is pathetic, yet fear not, there are two revisions before the final and very often the revisions are not nearly as bad as the initial report. Q4 GDP was 2.1% by comparison. The below table shows the GDP component comparison in percentage point spread from Q1 2017 to Q4 2016. There are always two revisions after the initial quarterly GDP report release. Trade data especially is revised, so expect imports and export figures to change. The March Consumer Price Index dropped by -0.3%. That’s unusual and a decline in CPI has not happened since February 2016. The reason was volatile gas prices but America finally is catching a break on cell phone service costs too. The gasoline index by itself dropped -6.2% for the month. The bigger surprise is Inflation without food and energy prices considered dropped by -0.1%. That hasn’t happened since 2010. Yearly overall inflation was 2.4%, much less than last month’s 2.7% increase, and is shown in the below graph. Core CPI’s monthly -0.1% percentage change is graphed below. Within core inflation, shelter increased 0.1%, which is actually less of a jump than typical and the lowest increase since June 2014. Did people get a break on buying a home or rent? Of course not, rent increased 0.3%, whereas hotels and motels went down -2.8%. and home ownership equivalent rent increased 0.2%. Shelter overall is up 3.5% for the year with rent increasing 3.9% annually. Those employed number 153,000,000, a 472,000 increase from the previous month. From a year ago, the ranks of the employed has increased by 1.699 million. Most of the annual gains have happened in the last two months. The annual gain is just around what is required to keep up with new population growth. Those officially unemployed is 7,977,000, a shocking -326,000 monthly drop. The above graph shows pending home sales have recovered to 2006 bubble year levels but not the years previous. The NAR believes the jump in pending home sales is simply pent up demand. They also believe the economy is good. Truth be told, not all got in the stock market. Also, the great economy for the middle class NAR assessment is questionable with such unaffordable housing forcing people into horrific debt. NAR also notes February was the warmest in decades. We don’t know where they are living for the entire Northwest had record cold and rain. The stock market’s continued rise and steady hiring in most markets is spurring significant interest in buying, as well as the expectation from some households that delaying their home search may mean paying higher interest rates later this year. The February 2017 New Residential Single Family Home Sales increased by 6.1%. Monthly sales increased by 34,000 annualized units to 592,000 for the month. Annual sales have increased 12.8%. Sales were 525,000 a year ago. In this Census survey, amounts are annualized and represent what the yearly volume would be if just that month’s rate were applied to the entire year. These figures are also seasonally adjusted. New home sales also has a high monthly error margin and this month it was ±17.3%, with an annual error margin of ±18.0%. What this shows is the housing market is simply on fire. Prices are soaring and supply is short. We believe comparisons to the 2006 housing bubble are becoming appropriate. The February 2017 average home sale price is a very unaffordable $390,400. This is a whopping 9.9% monthly increase. From a year ago the average price has increased 11.7% and we can see from graphs housing prices are exceeding the 2006, 2007 bubble prices. The median home price is $296,200, This is a decreased by -3.9% from the previous month. For the year, the median new home sales price has decreased by -4.9%. Median means half of new homes were sold below this price and both the average and median sales price for single family homes are not seasonally adjusted. NAR’s February existing home sales dropped 3.7% from January. Sales were 5.48 million, whereas January had 5.69 million annualized sales. Sales are still a soaring 5.4% higher than a year ago. Prices are through the roof and inventories are now absurdly tight. Affordability and availability are cited as the main reasons for the drop in sales as actual foot traffic looking at properties has increased. The national median existing home sales price, all types, is $228,400, a 7.7% increase from a year ago. January’s jump in median price was 8.1% and February makes it 60 months in a row that prices have soared. The average existing sales price for homes in February was $270,100, a 5.8% increase from a year ago. Below is a graph of the median price. Lawrence Yun, NAR chief economist, says closings retreated in February as too few properties for sale and weakening affordability conditions stifled buyers in most of the country. "Realtors® are reporting stronger foot traffic from a year ago, but low supply in the affordable price range continues to be the pest that’s pushing up price growth and pressuring the budgets of prospective buyers," he said. "Newly listed properties are being snatched up quickly so far this year and leaving behind minimal choices for buyers trying to reach the market. The Consumer Price Index for February returned to Earth with a 0.1% monthly increase. January stayed unrevised at 0.6%. The monthly change was the smallest gain since July 2016. The main cause was gasoline, again, which dropped -3.0% for the month. Inflation with food and energy price changes removed increased 0.2%. From a year ago overall CPI has now risen 2.7%. Without energy and food considered, prices have increased 2.2% for the year. CPI measures inflation, or price increases. Yearly overall inflation is shown in the below graph and we can see the 2.7% increase is really a balloon in comparison to previous annual gains. Core inflation, or CPI with all food and energy items removed from the index, has increased 2.2% for the last year. For the past decade the annualized inflation rate has been 1.9%. 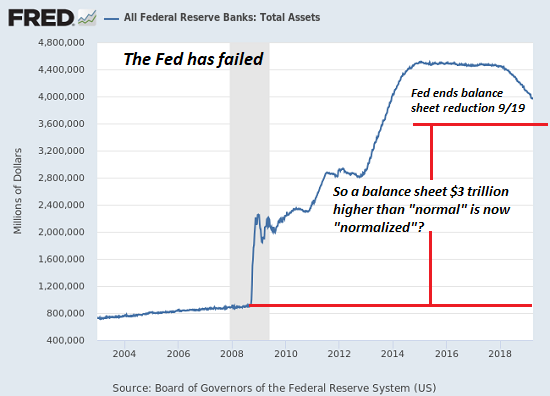 Core inflation is the figure the Federal Reserve considers for interest rate increase decisions and no surprise this is why they raised rates and probably will again based on these figures. Core CPI’s monthly 0.2% percentage change is graphed below. Within core inflation, shelter increased 0.3%, with monthly rental costs increasing 0.3% and home ownership equivalent rent increased 0.3%. Shelter overall is up 3.5% for the year with rent increasing 3.9% annually. Recreation soared up 0.6%, the largest increase since 2001. February’s unemployment report is just another no change type of thing. The unemployment rate is 4.7%, a -0.1 percentage point change from last month. Those unemployed declined slightly as did those no longer in the labor force. The labor participation rate finally hit 63.0% which is still very low The biggest movement was those employed increased by 447 thousand. Folks, there just isn’t much to write home about again. On paper things continue to look great, yet we all know there are millions underemployed and not working who should be., although things have clearly improved. Those employed number 152,528,000, a 447,000 increase from the previous month. From a year ago, the ranks of the employed has increased by 1.485 million. The annual gain is just around what is required to keep up with new population growth. The Manufacturers’ Shipments, Inventories, and Orders report shows factory new orders increased by 1.2% for January. That’s after December new orders rose by 1.3%. Durable goods new orders by themselves was revised to 2.0% from 1.8%. Transportation new orders were the monthly increase leader with a gain of 6.2%. This is after transportation equipment new orders had declined for two months. The year to date in comparison to the same time period in 2016, new orders for all manufacturing industries increased 5.5% while just durable goods new orders have had a much smaller 1.6% year to date gain. Inventories increased 0.2% for the month and are up 0.8% for the year. The Census manufacturing statistical release is called Factory Orders by the press and covers both durable and non-durable manufacturing orders, shipments and inventories. Within transportation equipment, motor vehicles bodies & parts new orders increased by 0.8%. Aircraft new orders increased 69.8% in nondefense and in defense increased 62.2%. Ships and boats new orders decreased by -33.7%. There are other categories of transportation equipment not listed in the report. This month’s gain was clearly caused by volatile aircraft, and the increase in autos & parts being minor. Core capital goods new orders decreased by -0.1%. The previous month showed a 0.8% increase. The December 2016 S&P Case Shiller home price index shows a seasonally adjusted 5.6% price increase from a year ago for the 20 metropolitan housing markets and a 4.9% yearly price increase in the top 10 housing markets. Both Seattle and Portland’s annual home price gain exceeded 10%. Home prices are still climbing and nationally exceeded their 2006 housing bubble peak. The U.S. National Home Price Index has also increased 5.8% from a year ago and continues at a 30 month high. From the 2006 price peak, the national index, covering all nine geographic divisions, has increased 0.5%. Since the price low of March 2012, the 10-City composite index has increased 41.0% and the 20-City composite index has increased 43.7%. S&P is wondering if housing is in another bubble or if these prices are sustainable. Prices are back to winter 2007 levels and once again unaffordable as wages and incomes have not similarly recovered. The housing bubble peak was in July and June 2006. Nationally, housing prices have surpassed that peak by 0.5%. The 20-city index is still -6.7% below and the 10-city index is -8.8% below their 2006 bubble peaks. We can only assume that America is back to being a debtor nation and we don’t know how anyone is making their mortgage. Core CPI’s monthly 0.3% percentage change is graphed below. Within core inflation, shelter increased 0.2%, with monthly rental costs increasing 0.3% and home ownership equivalent rent increased 0.2%. Shelter overall is up 3. The U.S. December 2016 monthly trade deficit decreased 3.2% from last month and now stands at $44.3 billion. For all of 2016, the trade deficit increased 0.4% from the year previous. While that doesn’t sound like much, the total amount is -$502.3 billion. This is in spite of petroleum imports being much less of a trade deficit factor. China alone is almost half of the trade deficit. While pundits proclaim Trump will start a trade war, with these kind of figures, surely that war is long over and America obviously surrendered. Foods, feeds, and beverages: -$0. January is the month when annual adjustments are added to the unemployment report. These adjustments are just tacked onto the month of January, hence one cannot compare the past month without removing these figures. Yet, with or without the annual adjustments, this year’s end result isn’t much of a shift. The January unemployment rate is 4.8%. Those employed had little change as did those unemployed. Even those dropping out of the labor force was not dramatic. The labor participation rate is now 62.9%, a still terrible figure and the employment to population ratio is also still low Folks, there just isn’t much to write home about. On paper things look great, yet we all know there are millions underemployed and not working who should be. Those employed number 152,081,000. From a year ago, the ranks of the employed has increased by 1,548 million. The Federal Reserve Industrial Production & Capacity Utilization report shows industrial production soared 0.8% in December after a November -0.7% decline. The reason for the December increase was utilities. Utilities jumped up by 6.6% on colder weather in December and very warm weather in November. Manufacturing production by itself increased 0.2% and mining was unchanged. The bigger news is industrial production has declined by -0.6% for the forth quarter. For the year, industrial production increased by 0.5%. The G.17 industrial production statistical release is also known as output for factories and mines. Total industrial production has only moved the needle by 0.5% from what it was a year ago, as mining imploded on oil and gas and manufacturing has barely budged. December industrial production was 4.6 percentage points above the 2012 average. Industrial production is still way below the very long term 1972-2015 average by -4.5 percentage points. Below is graph of overall industrial production’s percent change from a year ago. 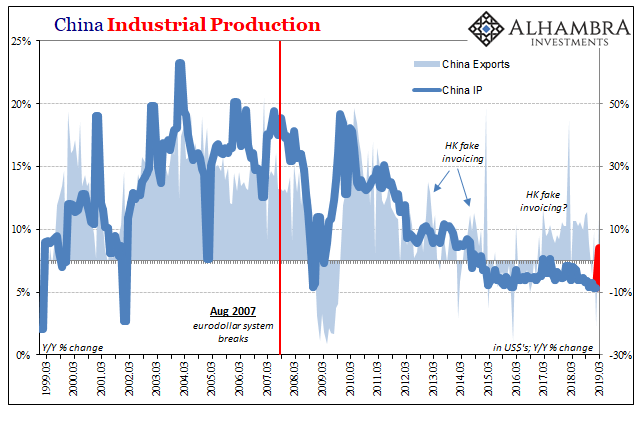 Industrial production is a recession indicator and follows the grey recession bars. Here are the major industry groups industrial production percentage changes from a year ago. While mining looks bad, the annual change was much worse just a few months ago. December 2016 retail sales increased by 0.6% and are up a whopping 4.1% from a year ago. November’s retail sales were revised to a 0.2% monthly increase. The reason for December’s gain were automobile sales, online sales and gas. Auto sales blew through the roof at a 2.4% monthly increase and gas did also on rising prices. Without autos & parts sales, retail sales would have increased only 0.2% for the month. Retail sales without gasoline station sales considered would have been a 0.5% monthly increase. For the year, retail sales without auto sales have increased 3.4%. Nonstore (online) retailers have shot up by 13.2%. Overall retail sales are a good sign for consumer spending growth and also for the increasing online shopping use. Graphed are the retail sales categories monthly percentage changes. General Merchandise includes Walmart, super centers, Costco and so on. Department stores by themselves declined by -0.6% for the month which is awful for the holidays. From a year ago, department store sales have declined by -8,4%, a terrible figure and explains the flurry of closings and layoffs going on. Grocery stores by themselves had no change for the month and have increased by 2.4% for the year. Miscellaneous retailers declined by -1.0% for the month but have increased 7.1% for the year. The December 2016 unemployment report looks almost static as changes in most of the statistics are small. The unemployment rate ticked up by 0.1% to 4.7%. Those employed increased by 63,000 a very small monthly number. Those unemployed monthly change was also relatively small. Even those dropping out of the labor force barely registered for the month. The labor participation rate ticked up a tenth of a percentage point but the civilian to employment ratio remained the same. Next month is when annual Census adjustments and revisions are made so we suspect all things will change with next months report. In the meantime this report just looks like business as usual. Those employed number 152,111,000, a monthly increase of 63 thousand. From a year ago, the ranks of the employed has increased by 2.081 million. The November Consumer Price Index increased by 0.2%. Once again, the main causes are shelter, which increased 0.3% for the month and gasoline, which rose 2.7% for the month. Food inflation had no change for the fifth month in a row. Inflation with food and energy price changes removed increased 0.2% as shelter is part of this measure. From a year ago overall CPI has now risen 1.7%, the highest annual increase in two years. Without energy and food considered, prices have increased 2.1% for the year. CPI measures inflation, or price increases. Yearly overall inflation is shown in the below graph and we can see the 1.7% increase. Core inflation, or CPI with all food and energy items removed from the index, has increased 2.1% for the last year. For the past decade the annualized inflation rate has been 1.9%. Core inflation is the figure the Federal Reserve considers for interest rate increase decisions and no surprise this is why they raised rates. Core CPI’s monthly percentage change is graphed below. This month core inflation increased 0.2%. Within core inflation, shelter increased 0.3%, with monthly rental costs increasing 0.3% and home ownership equivalent rent increased 0.3%. Shelter overall is up 3.6% for the year with rent increasing 3.9% annually. Car insurance increased 1.0% and has been rising, now 6.7% for the year. No surprise many banks issuing credit cards always announced their rate increases. Now one can expect to pay $25 more per year for every $1000 of debt carried. But people, don’t carry credit card debt unless you have a 0% introductory rate. Auto loans aren’t that impacted either, $25,000, 6 year loan means $36 more in interest charges per year. According to USA Today, the rising fixed mortgage rate from 3.47% to 4.13% on $200,000 is already costing people $75 more a month. The November 2016 unemployment report shows continuing distorted monthly unemployment figures. The unemployment rate ticked down by -0.3% to 4.6%, a nine year low, but this isn’t the great news as many proclaim. The reason the unemployment rate dropped is yet another almost half a million, 446 thousand more, were considered no longer part of the labor force. Another reason the unemployment rate declined so far is those unemployed dropped by -387,000 and those employed rose by 160,000. Both the labor participation rate and the civilian to employment ratio ticked down a tenth of a percentage point and remain very low. This report sounds like good news on the surface, but it’s really just a continuation of the never ending shrinking group of people participating in the labor market. Those employed number 152,085,000, a monthly increase of 160 thousand. The October Consumer Price Index increased by a high 0.4%. This is a six month high. The usual suspects were shelter, which soared up 0.4% for the month and gasoline, which rose 7.0% for the month. Food inflation had no change for the second month in a row. Inflation with food and energy price changes removed increased 0.1% as shelter and medical costs are part of this measure. From a year ago overall CPI has now risen 1.6%, the highest annual increase in two years. Without energy and food considered, prices have increased 2.1% for the year. CPI measures inflation, or price increases. Yearly overall inflation is shown in the below graph and we can see the 1.6% increase. Core inflation, or CPI with all food and energy items removed from the index, has increased 2.1% for the last year. For the past decade the annualized inflation rate has been 1.9%. Core inflation is the figure the Federal Reserve considers for interest rate increase decisions and this month’s statistics support an increase. Core CPI’s monthly percentage change is graphed below. This month core inflation increased 0.1%, the 2nd in a row. Within core inflation, shelter increased 0.4%, with monthly rental costs increasing 0.4% and home ownership equivalent rent increased 0.3%. Shelter overall is up 3.5% for the year with rent increasing 3.8% annually. The Federal Reserve’s consumer credit report for September 2016 shows a 6.3% annualized monthly increase in consumer credit, and 7.0% for the entire third quarter. Revolving credit increased 5.2% for the month as well as Q3,. Non-revolving credit increased 7.4% for September and 7.6% for Q3. Consumer credit matters due to personal consumption being the driving force in economic growth. Revolving credit are things like credit cards and non-revolving are things like auto loans and student loans. Mortgages, home equity loans and other loans associated with real estate are not included in this report. Overall consumer credit increased $19.3 billion dollars to $3,706.8 billion, seasonally adjusted. Revolving credit rose by $4.2 billion to $978.8 billion while non-revolving credit jumped up by $15.1 billion to a whopping $2,728.0 billion. The report gives percent changes in simple annualized rates, also known as a continuously compounded annualized rate of change. Consumer credit contractions correlate to recessions. The consumer credit report does not include charge offs and delinquencies. Graphed below is total consumer credit. To get a feel for how much of non-revolving credit was student loans, unfortunately we must deal with not seasonally adjusted data for the report does not break down credit reported with seasonal adjustments. The October 2016 unemployment report shows yet more monthly distorted unemployment figures. The unemployment rate ticked down by -0.1% to 4.9% as almost half a million, 425 thousand more, were considered no longer part of the labor force. Those employed dropped by -43,000 and those unemployed declined by -152,000. Both the labor participation rate and the civilian to employment ratio ticked down a tenth of a percentage point. This report reverses any progress from last month’s unemployment statistics and once again there is a feeling of static, that there is no actual progress with the real unemployment picture. Those employed number 151,925,000, a monthly decrease of -43 thousand. From a year ago, the ranks of the employed has increased by 2.728 million. This is still a solid annual gain. The Manufacturers’ Shipments, Inventories, and Orders report shows factory new orders increased by 0.3% for September. That’s after August new orders rose by 0.4%. Durable goods new orders by themselves was revised down to -0.3% for September, but increased 0.2% in August. Transportation new orders were the worse, with a -1.1% decline. The year to date in comparison to the same time period in 2015, new orders are down -2.3% while just durable goods new orders have had a -0.4 year to date change. Inventories for the month had no change but are down -1.9% for the year. The Census manufacturing statistical release is called Factory Orders by the press and covers both durable and non-durable manufacturing orders, shipments and inventories. Within transportation equipment, motor vehicles bodies & parts new orders increased by 2.6%. Aircraft new orders increased 21.1% in nondefense and declined in defense by -47.6%. Ships and boats new orders decreased by -17.8%. There are other categories of transportation equipment not listed in the report, so don’t blame it all on volatile aircraft, and the increase in autos & parts is a saving grace. Core capital goods new orders decreased by -1.3%. The previous month showed a 1.2% increase. Core capital goods are capital or business investment goods and excludes defense and aircraft. ADP’s proprietary private payrolls jobs report gives a monthly gain of 147,000 private sector jobs for October 2016. The reason was a loss of 15,000 construction jobs as well as manufacturing and education. September’s ADP report was revised upward significantly, from 154,000 to 202,000. Overall, it is possible this report indicates the pace of job growth is slowing, rarely a good thing. This report does not include government, or public jobs. The official BLS employment report will be released on Friday. ADP’s reports in the service sector alone job gains were 165,000 private sector jobs. The goods sector lost -18,000 jobs. Within the goods sector, construction was hammered with a -15,000 job loss, natural resources & mining lost -2,000 and manufacturing shed yet another -1,000. Within the services sector, professional/business services jobs grew by 69,000. Trade/transportation/utilities gained 17,000 jobs. Financial activities payrolls added 18,000 jobs. Education and health services was low with a gain of 22,000 jobs, yet within this total, health care and social assistance added 34,000 jobs. This means that education probably lost a significant number of positions.